Though choice. 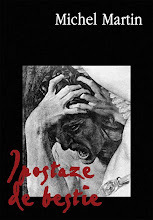 Should it be Claridge’s, The Ritz, The Chesterfield, The Dorchester or maybe the postmodern Sketch? 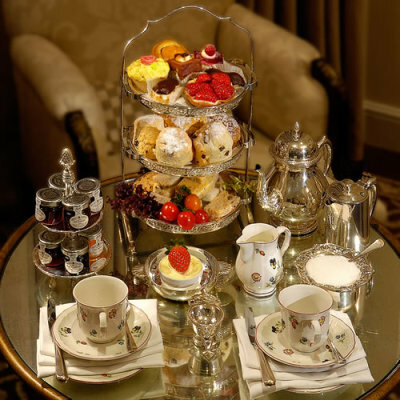 Where should you spend a little tiny fortune on the glamorous English tea? With royal cheese and mouth-watering scones? Before you make any assumptions, I do not earn a lot of money. Not at all. But they all go on gifts, chocolate cakes at exclusive venues, education, books and holidays with hand-picked accommodation. Because you can see any time Dali, Pollok, Da Vinci, the mummies and the Queen for free. First of all, yes it is a very girly activity to be engaged in, but hell… you’re a Romanian who lives in London. You just have to do them all. You just have to sit there in that imperial chair drinking Earl Grey from imperial porcelain and listening to imperial music in the background. I actually work on Imperial Road as well. Which is 10 minutes walk from King’s Road, the very heart of Chelsea. It all sounds very posh, I know, and you can see it that way, if you wish. And no, I am not sweeping the floor nor do I change the bed sheets for a living. Also on your way back to Romania (driving because it’s more fun and in a cheap car which you will bin when you get back) you definitely have to stop to Paris (no, you can’t pretend it’s not there or that you’ve seen it enough), Baden-Baden, any place in Switzerland (but in the vicinity of a lake), Milan, all Tuscany (including Island of Elba if you can’t do Corsica) and reach Brasov in the end where you will feel as good as in all the other places. Maybe even better. Just because you don’t live there anymore. And for some stupid reason you love your country more when you’re away. And when you return you have to explain to English people how the hell you can afford such a nice holiday when you earn what you earn and you have to start again telling them the story about how Romanians are used to be posh on 200 pounds a month. Less or more. Back to the afternoon tea. Well, the bunch of people I am going with (and you all think now they are either all gay or all girls or a selection of both) don’t fancy the aristocratic curtains in the Ritz. They want something more …21st century. Where they can laugh and not get kicked out. So, I can only assume it’s going to be Sketch. Where you have to book 25 years in advance and you will still be probably queuing to get in. The place is in the Regent Street area, this should ring a bell. So I will save The Ritz for when I meet my intellectual 65 years old friends who remind me about that particular London before 674 countries came and over-populated it. There is one more question. 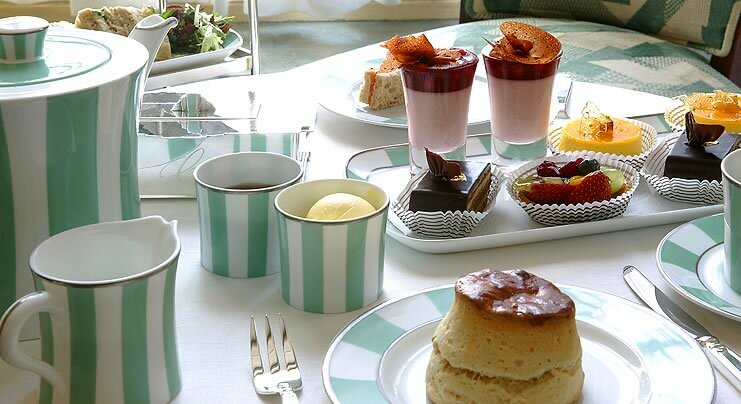 Whom would you actually take with you for afternoon tea? I have 3 people in my mind (separate meetings, of course). They are not dead famous people. All three of them are alive, and they managed to keep me interested for quite a long time (each for different reasons). And they all love –in their own way- food artistry and delicatessen ;). As long as it comes packed with opera tickets, a visit to an art gallery or a fanatic shopping session. Oh, my, am I greedy if I take all of them, except the Ritz which is kinda stiff for me? Ok, ok, I got it. I take a deep breath and choose. One of them and this is against, not over my thirsty and greedy imagination. Dear sir, allow me to choose the second image, for the irresistible combination of colours: green-turquoise-white (as my glasses sigh, pardon, tell) plates and dishes which host the enchanted tea and the bitemeI’mdying cookies. And take that knife out of there, for the sake/security of the word "temptation". By the way, I don’t think now that the bunch of people you’re going with, are either all gay or all girls. But I’ve always thought that your selection meets your many soul matches - definitely, boiled water for tea. This is a tough question, indeed. 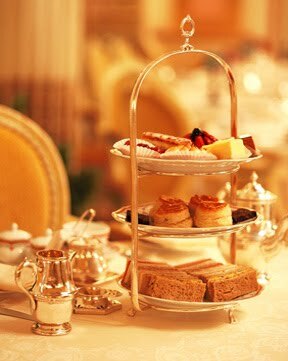 Whom would I take with me for afternoon tea? Well, 2 persons are by default: me and the mad hatter. Now I’ll have to think about the others. Anyway. I downloaded all the images. For having them closer than in my head. Poetul a ramas in taramul "compasiunii ca un mar". E in tacere completa si netulburat. Dar si-a lasat eul social sa bantuie in orasul pe care l-a renegat in nenumarate randuri. So, you chose Claridge's. Nice one. 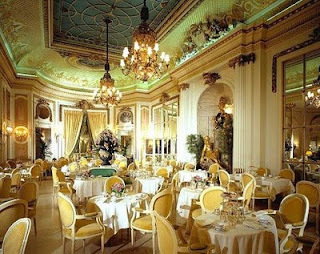 I agree on Ritz's stiffness, but still...I do find it to define old school luxurious living. And for this reason only, it deserves my attention. I preffer the one in Paris to the one here, though. I think The Dorchester might have stolen the crown for ultimate royal accommodation & co in London.